Nioh update 1.16 is now available for download. Team Ninja released this update to fix issues with recently released update 1.15. The new update has added a new Element “New Skill Battle”. The level of guardian spirit is also changed to a fixed value. In addition, there are other bug fixes and improvements to the game. We’ve updated the changelog to the English version. Check out a full changelog below. Added a new feature to PVP battles: “Battles of skill” – in these battles, you forego your current setup and instead fight using different equipment abilities, stats, and shortcuts. Furthermore, crest boons, passive skills, prestige titles, and mystic arts are disabled. Your guardian spirit’s level will also be changed to a set value, but all guardian spirit protections will be active. *All changes are temporary and are only applied during a PVP battle. When searching for PVP battle, you can now select between “Skill” (for Battles of skill) or “Strength”. “Battles of Strength” are the same as PVP battles up until now (you use your own equipment as normal). Raised the level cap from 500 to 550 after reaching the way of the wise. Greatly increased the amount of Amrita received for completing missions in the way of the wise. Greatly increased the amount of Amrita received from enemies appearing in missions level 500 or higher in the way of the wise. Players are now able to evade immediately as they get up. Increased the amount of ki used by a fully charged “Sign of the cross” (PVP only). Enlarged the visual effect of the shockwave produced by the Odachi skill “Groundquake,” and enlarged the hit box to match. Nioh update 1.16 changed the strike portion of “GROUNDQUAKE” so that it knocks the opponent down and increased the ki damage of the shockwave while decreasing its hp damage (PVP only). Increased the amount of ki used by the “GROPVPQUAKE” (PVP only). Shortened the down time of an opponent knocked down by the Tonfa’s “Grapple”. Decreased the ki damage caused by the Tonfa’s follow-up attack after getting deflected (PVP only). Nioh update 1.16 decreased the duration of the effect from Enku’s Guardian spirit protection “Nullify damage (dash attacks)” (PVP only). Increased the amount of glory earned from a loss or a draw in a PVP battle. Fixed a bug in which quickly using a Tonfa step-attack would occasionally result in the attack not hitting. Nioh update 1.16 fixed a bug in which “Pulverize: Earth” would not trigger after the tonfa skill “Demon Dance: Earth” even if you input the additional command. Fixed a bug in which you would not lose Ki when a low-stance strong attack with Tonfa was quickly deflected. Fixed a bug in which attacks would not hit Yamata-No-Orochi in “The Demon King Revealed” during online multiplayer. Fixed a bug in which the hit box was not properly set for the falling bare-fisted attack. Nioh update 1.16 fixed a bug in which Suzaku’s Guardian spirit protection, “Auto-charge Amrita gauge (critical)”, continued to be active even after switching to another guardian spirit. Fixed a bug in which Suzaku’s Guardian Spirit protection, “Auto-charge Amrita gauge (critical)”, would not trigger even if the proper conditions were met. Fixed a bug in which Narikama Tanuki’s Guardian Spirit protection, “Auto life recovery (critical)”, would not trigger even if the proper conditions were met. Nioh update 1.16 fixed a bug in which the icons for some of the spirit stones received as mission rewards did not display properly. Fixed a bug in which new transformations that are added to the trade menu by completing missions would not be added if the missions were not completed on the way of the samurai difficulty. Nioh update 1.16 fixed a bug in which your lock-on would not properly switch back and forth in 2 vs 2 PVP battles. The following changelog is translated from Japanese, you may find it difficult to read some lines. Nioh update 1.16 added new element “New Skill Battle” – According to the type of currently equipped weapon, the equipment performance, player’s ability value, item shortcut contents are changed. Also, the benefits of family crest protection, constantly invoking skills, mystery skills, titles are also invalidated, and you can enjoy serious fighting competing against the competence of players. The level of guardian spirit is changed to a fixed value, but the protection of spirit of guardian is all effective. – * All changes are temporary only during the match. 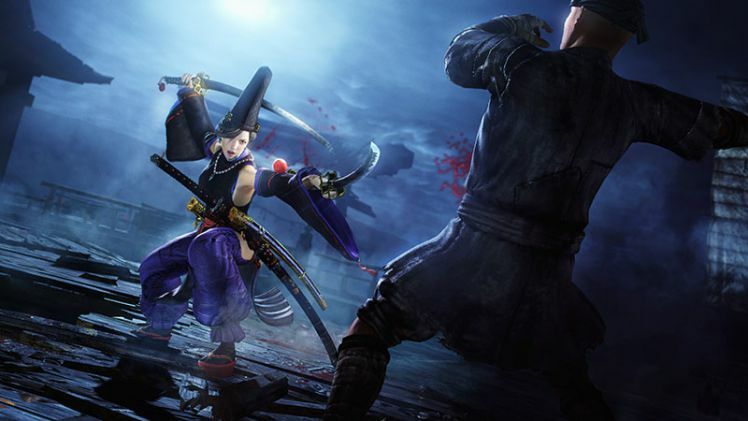 Amrita amount you can earn from enemies that appear at mission level 500 or higher significantly revised upward during the player got up action, modified to avoid action is put out up to shorten the time until the reservoir of sword skill “Iaido” – the position and the generation timing of the hit determination of two sword skill “cross” adjustment. Defeat at the battle, or upwards the winning warfare when it is a draw. Fixed a problem that will return to stance In gyration skill” Deme · Heaven / Deme · Earth “, even if switching stance after activation. Nioh update 1.16 fixed a bug that the hit judgment was not set correctly when falling attacked in bare hand condition. Improved fault that protection of spirit of “Suzaku” “Automatic accumulation of amrita gauge (dangerous land)” does not activate even if it meets the condition Patron spirit. Fixed a problem that may not trigger even if the condition “Automatic restoration effect (dilemma)” of “physical strength recovery effect (dilemma)” is protected. Nioh update 1.16 correct defects that are not added to the transaction unless it is cleared at difficulty “Samurai no Way” for figure copies that become tradable by mission clear. English version of the patch note will be available soon. Check your game update and download Nioh update 1.16 on PS4.